The CCP program was developed to measure the knowledge and experience of senior-level computer software/system developers, business and systems analysts: that is, to measure knowledge appropriate to the management of information processing; and test for knowledge and experience in the principles and practices of information systems development, information resource management and related disciplines. 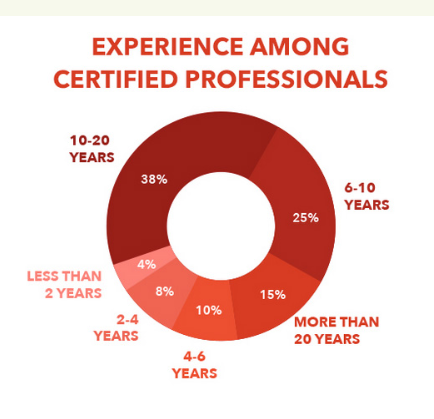 This program continues to be the premier certification for senior professionals in the computer industry with many CIOs in fortune 1000 companies holding the credential for the duration of their careers and involvement with the industry. The ACP program was developed to help those who are just on their way up the ladder. It allows the new entrant into the industry to specify which areas they want to excel in: Data, Programming, Technology or Security. Requires passing 4-day in-person workshop on IS/IT Strategy, Resource Management, Data Governance and Securing Technology Resources - written assessment passed at 70% of higher. Adherence to the ICCP Code of Ethics. Requires three exams be taken (90 minute exam on IS Core, or 90 minute exam on Business Core and any two other specialty examinations (view list of job roles and related exam) and passed at 70% or higher.. Plus a 2-day mentoring workshop. Plus Significant contributions to the industry. Adherence to the ICCP Code of Ethics. Requires three exams be taken (90 minute exam on IS Core, or 90 minute exam on Business Core and any two other specialty examinations view list of job roles and related exam passed at 70% or higher. Adherence to the ICCP Code of Ethics. Requires three exams be taken (90 minute exam on IS Core, or 90 minute exam on Business Core and any two other specialty examinations view list of job roles and related exam​ passed at 50% or higher. Adherence to the ICCP Code of Ethics. Requires 2 exams (60 minute Technology core exam, one 60 minute Specialty examination - choose from Systems Development, Systems Security, Data Foundations, Database Administration, Networking, Data Communications or one Programming language exam - choose from C, C++, JAVA, COBOL) passed at 50% or higher. Adherence to the ICCP Code of Ethics.